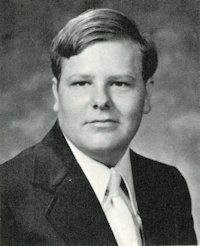 Obituary – Bohnstedt, Dennis Lynn « Perry High School Alumni Association, Inc.
﻿Dennis Lynn Bohnstedt, 46, of Perry, Oklahoma was the son of Ernest Daniel and Joan Faye (Honeywell) Bohnstedt. He was born September 10, 1958 in Omaha, Nebraska and died January 2, 2005 at Perry Memorial Hospital in Perry, Oklahoma. He and the former Cynthia Diane Barnett were married on July 21, 1979 in Morrison, Oklahoma. Dennis was a mechanic who had been employed by the City of Perry for nine years and also worked part-time for Seawater Trucking. He was known as a hard worker. He enjoyed fishing, hunting, camping and bowling. He also enjoyed spending time with his grandchildren. He was affiliated with the First Assembly of God Church. 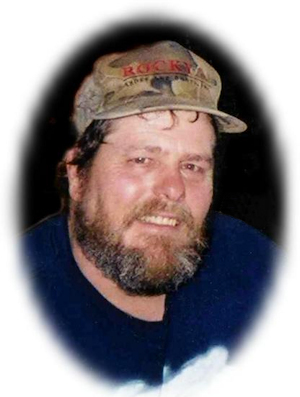 Funeral services will be at 2:00 p.m. Friday, January 7, 2005 at the First Assembly of God Church in Perry. Rev. Lonnie Rutherford will officiate. Interment will be in Grace Hill Cemetery at Perry. Services will be under the direction of Brown-Dugger Funeral Home of Perry. Memorials may be made to the American Heart Association or the charity of the donor’s choice in care of Brown-Dugger Funeral Home. In addition to his wife, Cynthia D. “Cindy” Bohnstedt, survivors are two sons, Everett Lee Bohnstedt, of Los Angeles, California, and Ernest Lynn Bohnstedt, of Perry, Oklahoma; three daughters, Tiffany Marie Bohnstedt, of Perry, Oklahoma, Julie Kay Wilcher and her husband, Michael, of Ponca City, Oklahoma, and April Renee Bohnstedt, of Perry, Oklahoma; two brothers, Daniel Lee Bohnstedt and his wife, Linda, of Ponca City, Oklahoma, and Dwight Leroy Bohnstedt and his wife, Susan, of Salina, Kansas; two sisters, Rhonda Lou Bohnstedt and Sharon Dean Bohnstedt, both of Omaha, Nebraska; and three grandchildren, Jalyssa Mishel Bohnstedt, of Perry, Oklahoma, and Darren Michael Wilcher and Timothy Dale Wilcher, both of Ponca City, Oklahoma. His parents, Ernest and Joan Bohnstedt, preceded him in death.